Have you ever gone to the gym with the best of intentions, only to find yourself wandering around aimlessly wondering what to do, or feeling so intimidated or frustrated that you wanted to turn around and go home? You’ll be glad to know that the problem isn’t you, it’s your gym! Most big-box gyms are large, crowded, and noisy. Unless you’re already an expert at working out, it’s virtually impossible to navigate your way through the crowd and complete a workout routine that will actually change your body. With limited hours and a packed house during peak times, there’s often a wait for the most popular pieces of equipment. Without a trainer to help guide you, it’s common to feel awkward and uncomfortable as you look around at the body-builder-types and gym-goers who are more interested in taking mirror selfies than actually working out. Even worse, mainstream gyms are often not nearly as clean as you would like them to be. Not only is this unsightly, but it can also increase your chances of getting sick as you come in contact with equipment that’s been used all day without proper sanitation. It’s no wonder so many people quickly give up on their resolutions to get fit. Luckily, there’s a better option. West Conshy Athletic club is a private and exclusive 24-hour fitness center designed to help you meet your goals without dealing with the big-gym drama. Here you can enjoy using state-of-the-art equipment in a comfortable, laid-back environment. Whether you want to lose a few pounds, increase your strength and endurance, improve your cardio fitness, or are looking for a total body transformation, we can help you get there. Our top-notch personal trainers will work with you to develop an individualized fitness plan with the perfect exercises, intensity, and duration for your specific needs and goals. Choose from 30 and 60-minute one-on-one sessions, buddy training, small group training, or meet with a trainer once a month to evaluate your performance and set new goals. Whatever your preference, we’ve got a solution for you. Want to get in shape while having a ton of fun? We offer a large selection of group fitness classes to help you do just that. 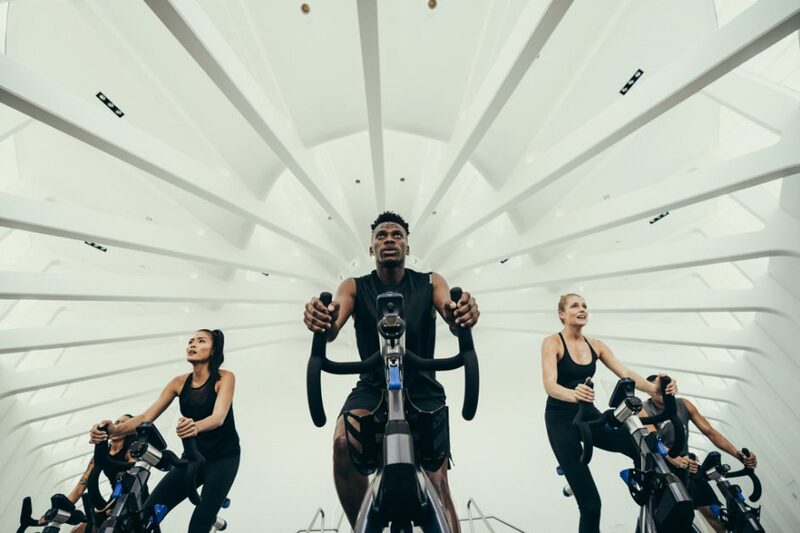 From high-intensity classes like bootcamp, HIIT, and Tabata to more relaxed options like yoga, Barre and TRX training, you’re sure to find something that appeals to you. Tight on time? No problem! Make the most of your workday by squeezing in a 30 to 45-minute “Lunchtime Express” class. With options like “War on the Core,” “Trouble Zones” and “Barre Express,” you can burn some quick calories and return to work feeling energized and refreshed. West Conshy Athletic club is conveniently located in West Conshohocken near the Main Line and western Philadelphia suburbs. If you live or work nearby, you’ll love how easy and convenient it is to squeeze in a workout anytime of the day or night. We offer tours by appointment, so call us at 610-245-3327 or complete our convenient online form to schedule a consultation today!